One of the core tenets of staff, members, and partners at BCL include participating in community service, activism and social investment. With that in mind, we want to share a way that New Yorkers can get involved with their local communities, and that’s through participatory budgeting. 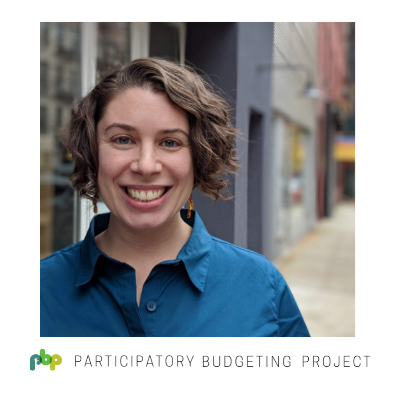 Melissa Appleton, Project Manager at Participatory Budgeting Project, a non-profit member here at BCL, tells us what participatory budgeting is, what it looks like on a community level, and where you can find resources to be a part of the process. Participatory budgeting (PB) is a democratic process that allows communities to decide how to allocate some of their public funding. It’s a cycle of engagement that’s annually integrated into the normal budgeting process. Participatory Budgeting Project (PBP) is an organization that empowers local communities to have direct decision making around some of the government decisions about money that affects them. PBP works with cities and organizations across the United States and Canada to help them as they’re thinking of participatory budgeting. They provide assistance to those who are advocating for change or considering it, helping them understand how the process works. PBP helps on the advocacy front, and once there’s a decision on how to move forward with the budget and who will control it, PBP will provide technical assistance to the community. What Does Participatory Budgeting Look Like in New York? Excluding the citywide expansion that will come in the next year or two, PB in NYC happens in a few different ways right now. Almost all of the city council members in Brooklyn participate in the city council process. Based on the council district, they put up at least a million of their capital discretionary funds. And instead of the council member deciding unilaterally how to distribute it, they use this engagement process to get the community to decide the priorities. BCL is a part of the district 39 community, led by Brad Lander, who is working to create programs and services that will benefit the community beyond large infrastructure projects like park improvements. People can get involved with their community PB by reaching out to their council member offices. How Does PB Impact Your Local Community? Melissa shared that some schools also do PB with a portion of their school budget. For example, PS 139 in Ditmas Park has integrated PB; the PTA puts up a small amount of funding and the principal, staff, and family all vote on what should get funded. Ideas are submitted on what should be implemented, they’re researched by the PTA, then theres a ballot, and the students vote on a computer. Brooklyn College has also instituted PB for students, offering them the opportunity to present a project proposal regarding what they would do with funding between the amounts of $1,250 and $25,000. It’s the first college to do so in the United States, allowing students to come together in two Town Hall meetings to discuss their needs and priorities, and how they would improve their Brooklyn College experience. Many of our members come to us through word of mouth referrals, and that’s how PBP came to BCL. Melissa shared that they came from another coworking space in Brooklyn that didn’t fully support their business needs on a basic operational level (we’re talking, a lack of bathroom essentials!). PBP found out about BCL from Ioby, another non-profit member here with an office space, and similar team structure. PBP, a small organization that has gone through periods of staff growth and loss, has found that BCL is a flexible space that accommodated their business needs and the office space has been suitable for their growing team. Are you interested in learning more about participatory budgeting? PBP has plenty of great resources on their website! Learn more about our non-profit members here.